Renovation "to the studs" on this brick ranch style home. 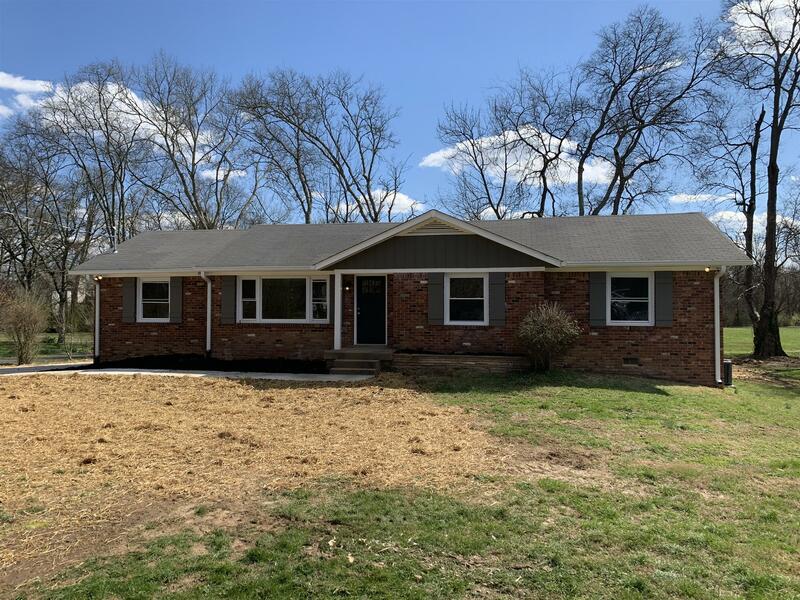 New Windows and Gutters, New Electrical and Plumbing, New HVAC, New Kitchen with granite counters and island, stainless steel appliances, sand/finish hardwood throughout home except new carpet in Master and new tile in the (2) full baths. New plumbing and lighting fixtures. Basement area great for workshop or hobbies. New concrete driveway, patio, sidewalks. Back yard is huge, flat, and open, backed by the small creek and woods.